The National Thoroughbred Racing Association (NTRA), Daily Racing Form and the National Turf Writers And Broadcasters (NTWAB) today announced that Tim Sullivan has won the 2015 Media Eclipse Award for Writing in the News/Enterprise category for “Family, PETA at odds after Horseman's Death,” an investigative report into the circumstances surrounding the suicide of Hub Johnson, an assistant in the Thoroughbred stable of trainer Steve Asmussen, and his interaction with an informant with a hidden camera representing the People for Ethical Treatment of Animals. The article appeared in the Louisville Courier-Journal on September 6, 2015. This is the first Eclipse Award for Sullivan, who has been a sports columnist with the Courier-Journal since 2012. 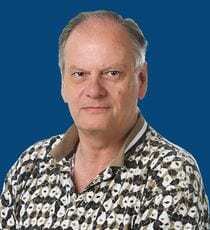 Originally from Springfield, Va., and a journalism graduate from the University of Missouri, Sullivan was a sports writer and columnist for the Cincinnati Enquirer and a sports columnist for the San Diego Union-Tribune prior to joining the Courier-Journal. This is also the second Eclipse Award for the Courier-Journal in 2015. Earlier today, former Courier-Journal turf writer, Jennie Rees, won the Feature/Commentary Media Eclipse Award. Sullivan will receive his honor at the 45th Annual Eclipse Awards dinner and ceremony to be held Saturday, January 16, at Gulfstream Park Racing & Casino in Hallandale Beach, Fla. The Eclipse Awards are presented by Daily Racing Form, Breeders' Cup and The Stronach Group and produced by the NTRA. Sullivan became interested in the Johnson story when he was considering writing a piece on Asmussen, but decided to change course. In a meticulously researched article, Sullivan conducted a range of interviews with Johnson's mother, Kirsten Johnson, and with other family members, friends, law enforcement officials and suicide prevention specialists, and examined toxicology reports to get a clearer picture of why Johnson chose to take his own life. Part of her [Kirsten Johnson's] motivation in sharing her story is the hope that it might lead to revised privacy laws — Kentucky is one of 38 states where it is legal to record a conversation with only one party's consent — and that it might cause at-risk individuals to reconsider suicide. Another goal is to gain a greater understanding of the unknowable, to arrange the pieces of a mismatched puzzle into some kind of coherent narrative. For though Steve Asmussen has paid a high price for PETA's investigation, losing his place on racing's Hall of Fame ballot and having dozens of horses removed from his care by aggravated owners, Hub Johnson paid a permanent price and may have tragically miscalculated the collateral damage to his career. The winning entry can be viewed at this link: http://cjky.it/1Z5pm0v. Honorable mention in the News Enterprise Category went to Joe Drape for “American Pharoah Wins Belmont Stakes and Triple Crown,” which appeared in The New York Times on June 7. Judges for the News/Enterprise category were Dan Liebman, former Blood-Horse and Frankfort (Ky.) State Journal editor; Rob Longley of the Toronto Sun and David Papadopoulos, a managing editor at Bloomberg News. This entry was posted in People and tagged Courier-Journal, hub johnson, Joe Drape, media eclipse award, PETA, PETA video, steve asmussen, tim sullivan, undercover PETA video by Press Release. Bookmark the permalink.